One glaring problem in the world today is leaders who problem-solve along the path of least resistance, taking the easy route, serving and being rewarded by the “ruling class.” It is so much harder for leaders to sit down at the table and think through their problems thoroughly, examining every possible angle, and then presenting both conventional and alternative solutions that might work to the benefit of all – not just for the benefit of a powerful few. So often problem-solving is single minded. So often it is developed solely along ideological lines, or strictly for political reasons, or because the “answer” is popular, or because of personal feelings. Too often “solutions” are driven by the personal financial interests of the “leader” and of the “ruling class.” But why is that so? I believe those who have the power of leadership are not often challenged to make decisions which benefit the whole. They have not had to think about how their decisions impact the less powerful – those who they lead. We see these self-serving leadership trends taking place all across America. Decisions are expedited in favor of the haves and not to benefit the have-nots. The “golden rule” seems to apply again here, “He who has the gold makes the rules.” The best-selling author of “Who Rules America? The Triumph of the Corporate Rich,” G.William Domhoff, reminds us that self-serving leadership serves only those who profit and those who lead. This brand of self-serving leadership has reared its dangerous head during the recent City of Detroit bankruptcy matter. Although it is now open for appeal, a federal bankruptcy judge ruled that the City’s pension system is indeed subject to cuts to satisfy the City’s creditors. At the same time the corporate banks and law firms that are structuring this municipal bankruptcy will make hundreds of millions of dollars in the deal. The “ruling class” wins! Why must everyday working people who retired with an expectation that the pensions they earned would be paid now be punished by having their pensions cut when there are alternative solutions to these problems? We must ask ourselves if other remedies could have been placed on the table to help create a win-win, rather than the same “winner takes all” approach? Is this, yet again, evidence of leaders choosing the path of least resistance – serving the powerful and serving themselves? Is this a continuation of the same pattern of decision-making that has recently body slammed the economy and created fiscal disaster zones in cities all across America? Why must the people who can least afford to shoulder the brunt of slashed incomes always be made to pay the lion’s share to remedy problems they did not help to create, while some corporations profit from their pain? Where is the justice and equity in all of this? So we must now ponder: Because it is more difficult to go against those who rule, can a good portion of the problems we face locally and nationally be ascribed to leaders taking the path of least resistance in their decision-making? If my approach to problem-solving always asks, “What’s in it for me and my powerful few?” and not “What’s in it for you, those who I lead?” then we will always arrive at the same old separate, disjointed places. Self-interested human behavior too often means fighting it out until the last man standing wins it all. But if, instead, each person at the table can ask, “What’s in it for everyone, or for the other one?” then we might well arrive at a much better place – a place where everyone gets something. That would benefit not only the individual but everyone else in the group as well. With all of the material and intellectual resources available to the powerful people making such decisions, why can there not be alternatives and solutions presented that would create a better world for all? Why? I am not saying that the remedies presented to address Detroit’s fiscal problems have not been diligently worked on. I am not saying that those responsible for solving these problems are not sincere and do not believe that they are doing the right thing that will hopefully benefit everyone. What I am saying is that decision-making all too frequently is geared toward experiencing the least pain for those at the highest levels of power. Therefore, there are no fully crafted solutions that will spread that pain around a little more equitably. Rather than always having the little man pay up, why aren’t more corporations or those who can most afford to pay up required to do so? Leadership means having the courage to thoroughly evaluate serious social problems and provide solutions that will have the best long-term impact on American society as a whole. Leadership looks beyond quick-fix remedies that are designed to fatten the pockets of people whose pockets are already overflowing. This means thoroughly thinking issues through and providing other forms of evaluation and analysis that can arrive at more holistic solutions for the people. Until the traditional approaches to problem solving in America can be thoroughly and painstakingly analyzed or inverted we will have more of the same lop sided, top down decisions that are made in favor of the powerful, rather than decisions that will benefit all of the American people. 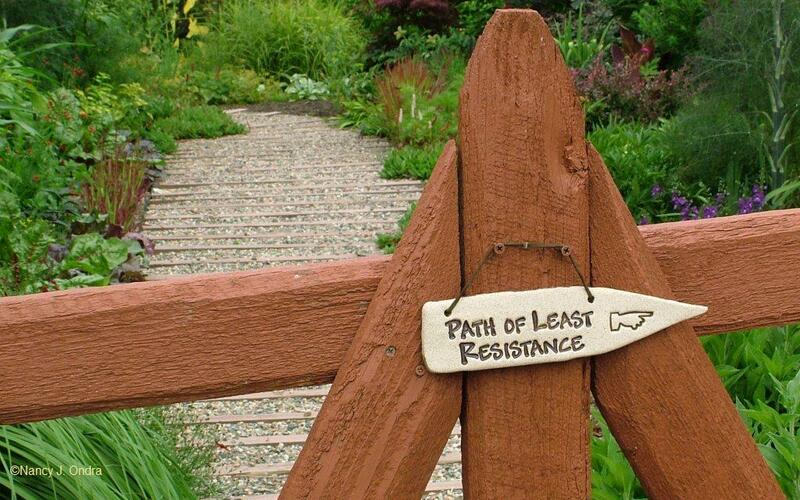 The path of least resistance is rarely the best path for decision-making that will benefit all. Needed are other minds at the table who can think creatively and alternatively, rather than the usual trajectories of thought that ultimately put us all in the same old place. Those who have more get more. Those who have less get less. Leadership should not mean just taking the path of least resistance and serving the powerful. Rather, it should mean forging solutions that stretch, challenge and bring out the best in all of us in ways that will create the most for each of us, including the powerless and the powerful and the haves and have-nots.